Through its partnership with skincare professionals, its formulation philosophy based on high standards and dermatological high tolerance, Laboratoires La Roche-Posay have developed a unique know-how and formulas specially dedicated to producing enjoyable make-up for lips, even sensitive ones. NOVALIP therefore offers a Lipstick range in a wide range of intense shades. Its comfortable formula is enriched with a micro-smoothing active agent that provides long-lasting colour and shine. Tested on sensitive lips, lanolin-free, fragrance-free, high-tolerance formula, formulated without parabens. For over 10 years, La Roche-Posay laboratories have made it their mission to always strive to minimise skin and eye reactions to their products. RESPECTISSIME therefore offers a full range of mascaras with Reconstituted (except Waterproof) Lacrymal Liquid as well as eye shadows and pencils to outline and define the eyes while respecting the physiology of sensitive eyes. High tolerance. Fragrance-free.Tested on sensitive eyes and contact lens wearers. Anti-friction applicators. No crumbling.Nickel-controlled (mascara range). Help protect, repair and strengthen nails day after day thanks to fortifying active agents, namely silica. Toluene-free. Rosin-free. Paraben-free. Nickel-free mixing balls. Anti-transfer pigments to protect the nail's natural colour. Tested on fragile nails and nails allergic to nail polishes. TOLERIANE TEINT range's products are formulated to very strict ingredient and testing requirements. 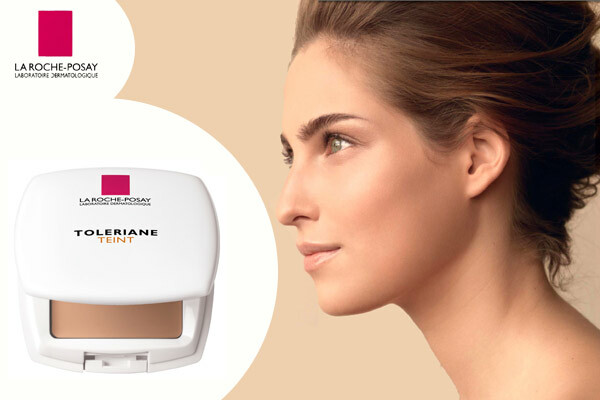 To meet the needs of every woman and give them a flawless, even complexion, the TOLERIANE TEINT range offers different levels of coverage: moderate with TOLERIANE TEINT foundations and high coverage with TOLERIANE TEINT correctors. LA ROCHE-POSAY MAKE-UP There are 58 products.